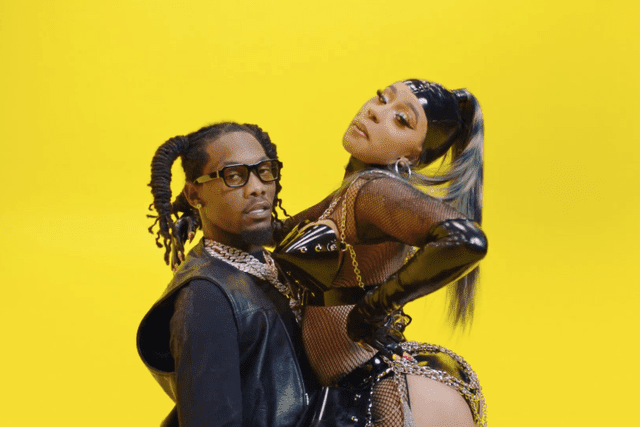 The long awaited video for Clout from Migos Member Offset featuring his wife Cardi B dropped today... and it did not disappoint. It gave the perfect blend of simplicity and excitement. Let's start with the color scheme. The bright yellow and black placed throughout the video tied everything together. Each scene married with the other effortlessly. The outfits Cardi wore are a nod to Madonna, Janet Jackson, and even Lil Kim with that unique splash of Cardi that we look for to add some spice, she did just that with the heels and chains. At this point what will Cardi and Offset be able to do to shock us? The masked moments really popped. The hair and the Jesus Piece really worked well in this scene. The lone model in the video was flawless. Period. I'm here for Offset's style regardless of what he wears... who thought loose leather could rock like this? Impeccable. 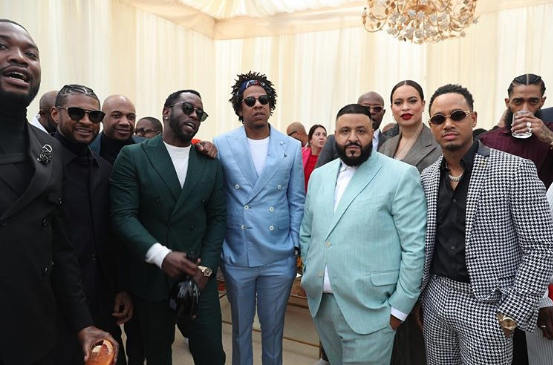 Offset let it be known he would not be left out of the patent leather party. Yep I'm here for the perfectly placed patent leather. Jacket, Shoes and Belt are the only appropriate places to put patent leather. Would you do anything for clout? 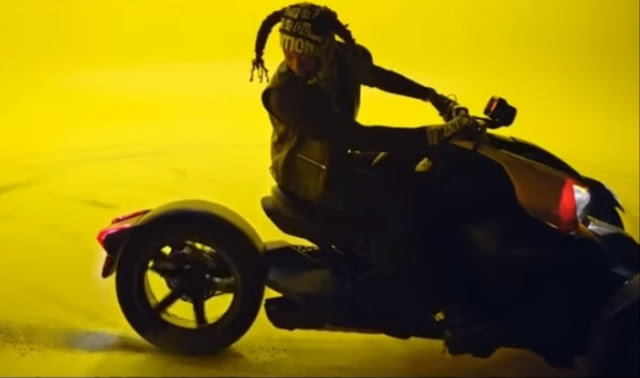 The official Music Video for “Clout" featuring Cardi B by Offset. Kim Kardashian VS. 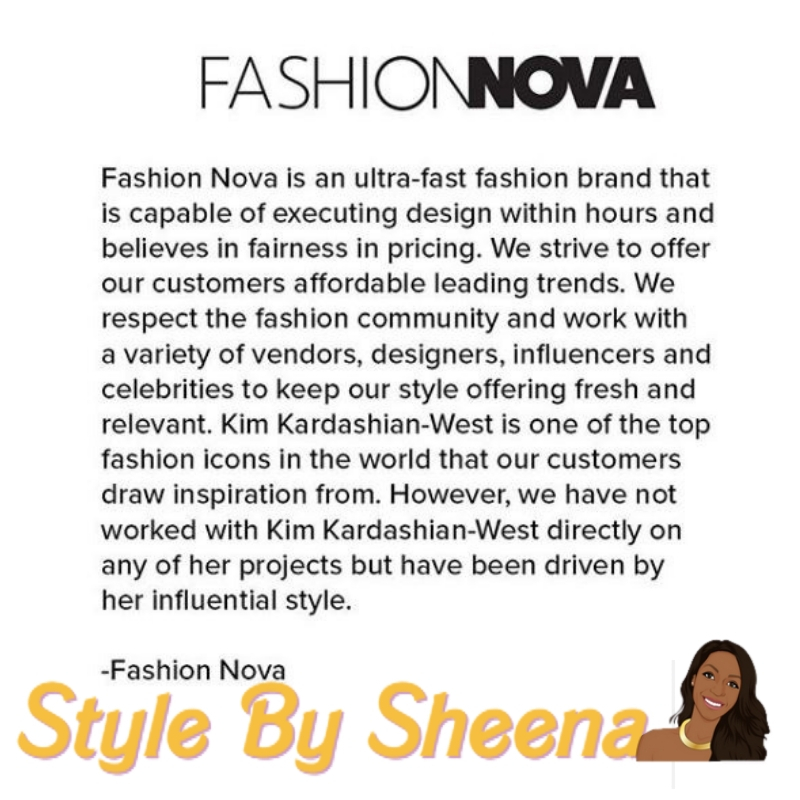 Fashion Nova ... Is Imitation the sincerest form of flattery? Kim Kardashian is pissed after a replica of a one-of-a-kind vintage dress she wore this weekend suddenly was up for sale on another site, and the model who wore the dress accidentally supported Kim’s take. Kim rocked a black cutout dress on Sunday night from infamous designer Thierry Mugler’s vintage collection to the 5th Annual Hollywood Beauty Awards. After seeing the dress for sale online, Kimmie Cakes took to the internet and went on a rant, calling out the perps and denying any relationship with them. Kim Kardashian is obviously talking about Fashion Nova, where the dress is listed as being “sold out” in all sizes. The Kardashians seemed to have some sort of business relationship with Fashion Nova. Last year, the clothing site had a few outfits worn by the sisters to Kylie Jenner’s birthday party … on the same day as the party. So who gave them the Tea? Do you agree with Kimmie or is imitation the sincerest form of flattery? 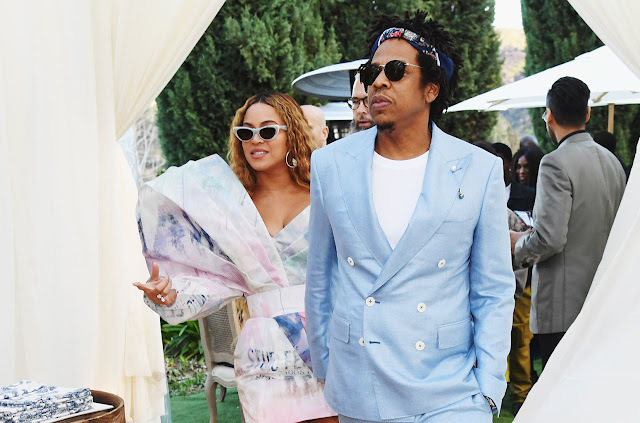 Beyonce Steals The Show at the Roc Nation Brunch... Is Lori Harvey coming for Queen Bey's Crown? OH KKKK, our fave pre-Grammys bash–the Roc Nation brunch–came back for another year with its usual Black excellence, visuals and celebrities with more money than we can count that never fail to give us major style moments. 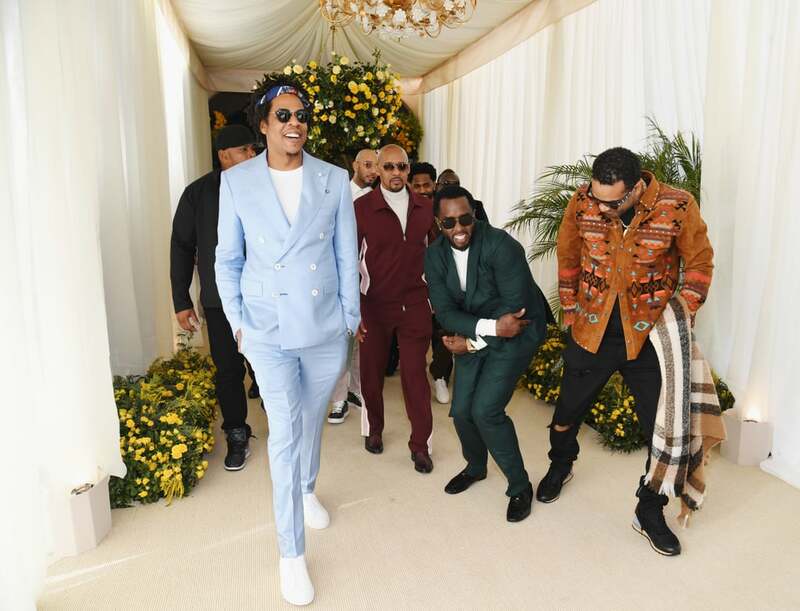 ROC NATION hosted some of ithe biggest stars: Big Sean; Diddy; Kevin Hart and Eniko Parrish; Nipsey Hussle; Terrence J; Fat Joe; Joe Jonas and Sophie Turner; Kaskade; Machine Gun Kelly; DJ Khaled; Miguel and Nazanin Mandi; Meek Mill; Janelle Monáe; Ellen Pompeo and Chris Ivery; RobinThicke and April Love Geary; Usher and none other than musical royalty, Beyoncé and Jay-Z, among several others. The event was made put together with brand partners PUMA, American Express and Barclays Center, supported by CORE, Jet Ready, La Croix, RAMONA, Red Bull, and Venus Et Fleur. The Beyhive has found a new target. 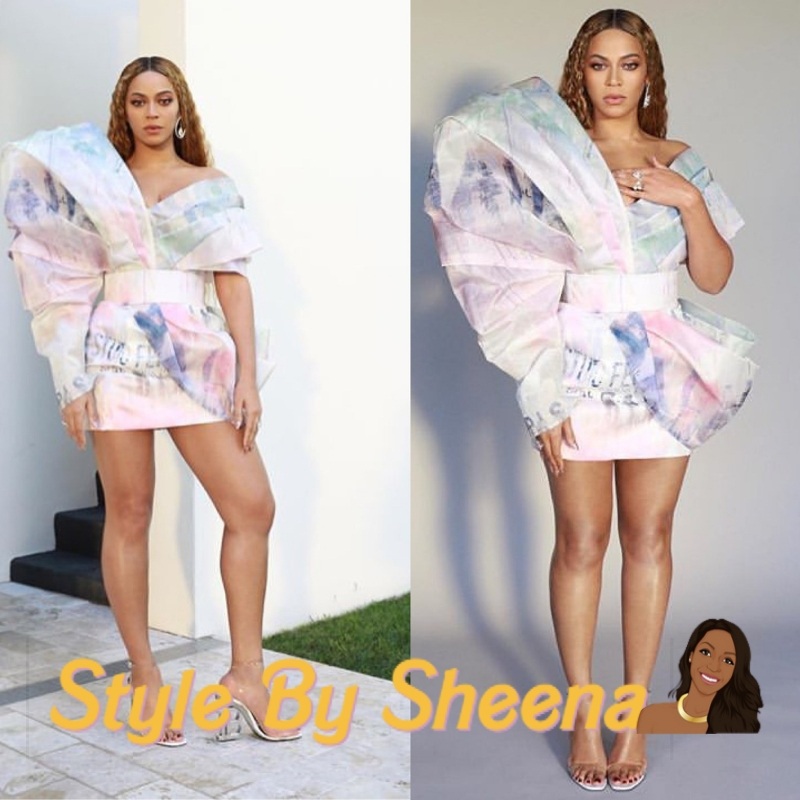 Fans of Beyonce swarmed the social media accounts of Lori Harvey, the stepdaughter of comedian and talk-show host Steve Harvey. Why? 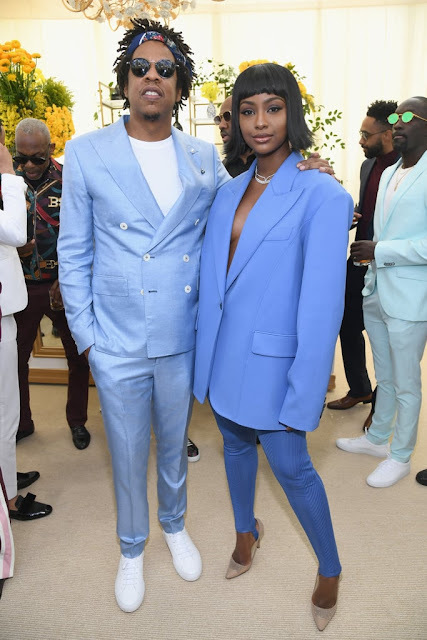 The 22-year-old socialite, model and equestrian was spotted conversing with Jay-Z at Roc Nation's pre-Grammy brunch event Saturday. And she was smiling to boot. How dare she?!? Members of the Beyhive promptly peppered Harvey's Instagram page with bee emojis (their calling card) and threatening messages warning Harvey to leave Beyoncé's husband alone. "Let this be your first warning. And you know what I'm talking about," wrote one Queen Bey fan under one of Harvey's Instagram photos. "Now Lori you don’t want these problems.. you better turn that head right side up," wrote another fan in response to the video of Harvey and the rapper chatting it up. Harvey has since disabled the comments on her post and responded to let everyone know that she's part of the Beyhive, too. Harvey made waves earlier this month when it was reported that she had left boyfriend Trey Songz. Soon, she was linked to Diddy's son, Justin Combs, and Formula 1 driver Lewis Hamilton, among others. Social media went wild over the notion of Harvey keeping all those men in rotation. Have you heard about the controversy and what do you think? The Queen returns its been four years and Nicki Minaj is back with a highly anticipated new album and a lot to say—about finding herself again and dealing with her past, trap taking over the rap game, and—yes—talking to the judge on behalf of Meek Mill debacle. 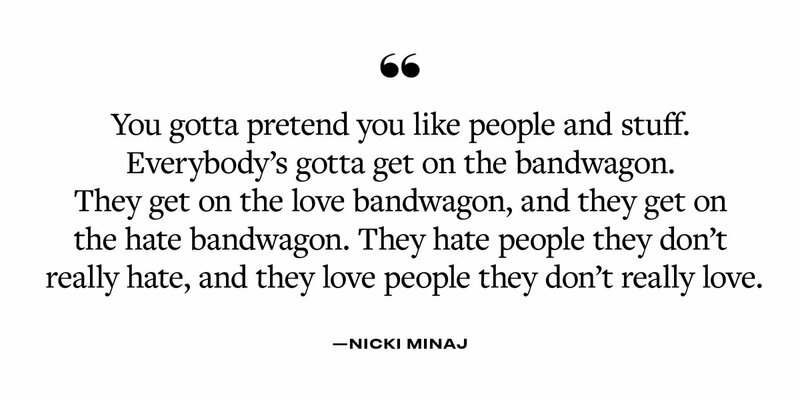 This Elle interview gives us a little insight into Nicki's world. Are you ready for the Queen's return? 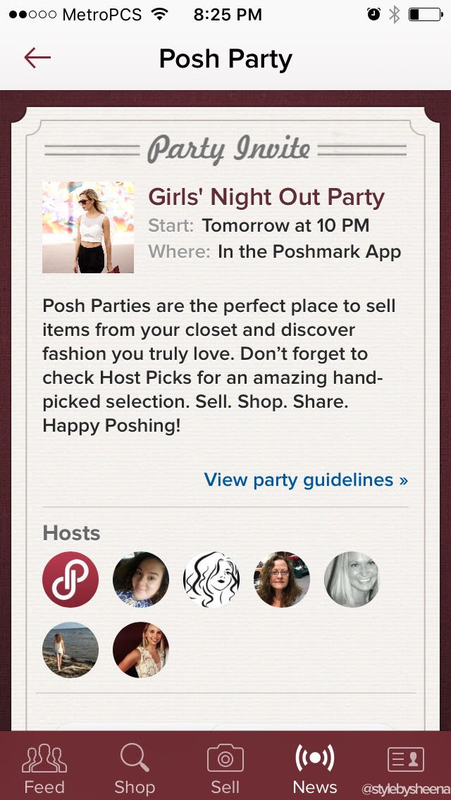 Your Guide To #POSHMARK: Everything you need to know to get your Poshmark Up and POPPING!! 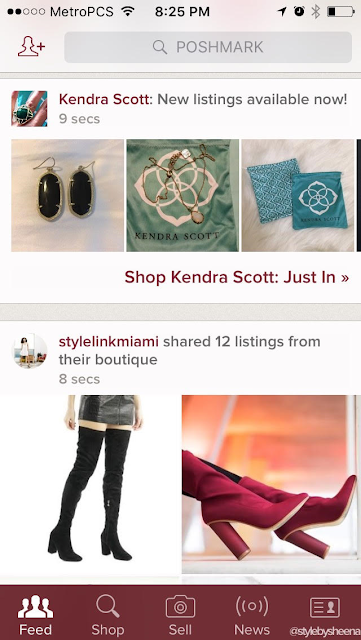 Whatever you’re shopping for, Poshmark’s got it—for much less than at discount clothing retailers and outlets like Nordstrom Rack and TJ Maxx. 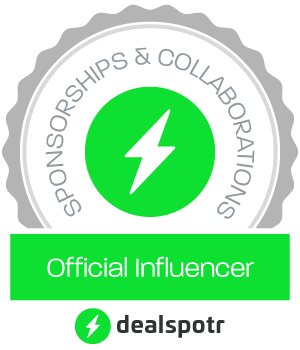 With over a million dollars worth of new and gently used merchandise added to the marketplace daily, you will find amazing fashion and beauty finds from the hottest brands like Louis Vuitton, Michael Kors, MAC Cosmetics, Nike, Style By Sheena, Brandy Melville and more! Need ideas for what to wear to your next date or that upcoming wedding? Do you hate getting dressed in the morning? Poshmark has millions of stylish outfit ideas for you. 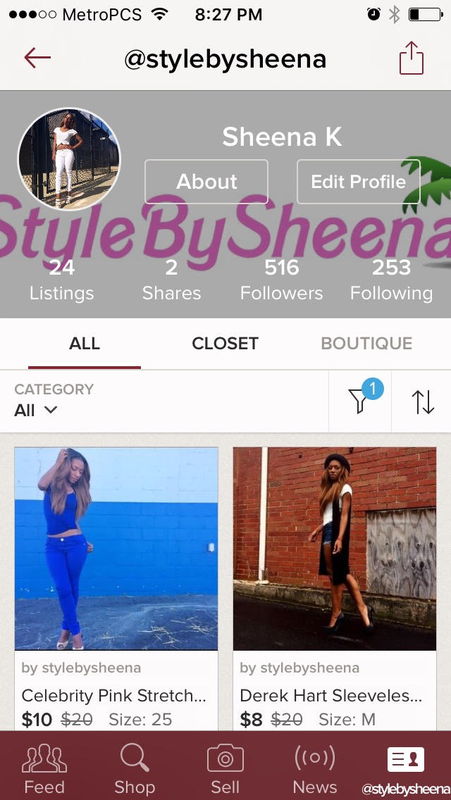 Shop the personal style and closets of other Poshers today! Do you have items in your closet that didn’t work out? 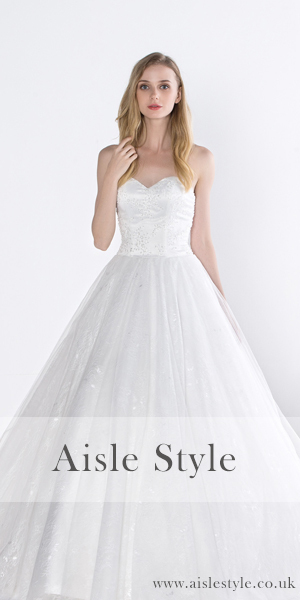 Maybe a designer handbag, statement shoes, or even your old wedding dress you wore once and won’t ever wear again? 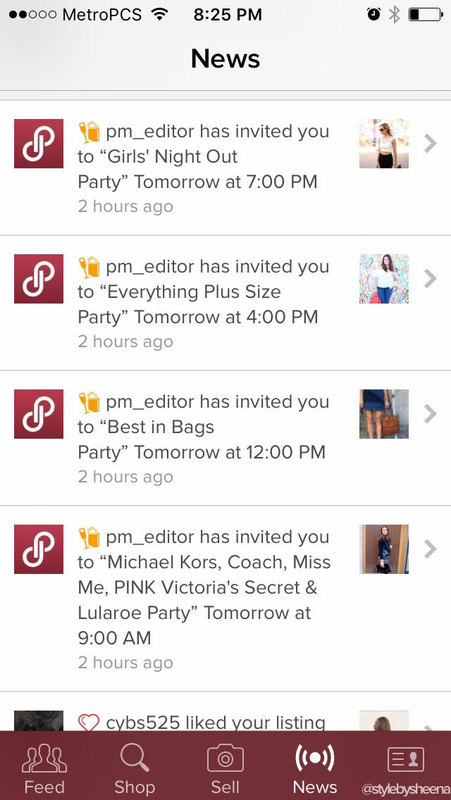 Poshmark is the #1 online consignment solution for a girl to sell her unwanted clothing in order to buy new things she’s coveting—you could be next! This is the perfect alternative to Goodwill as 1 in 50 Americans has their wardrobe on sale online. Don’t waste another precious moment with other discount fashion retailers or consignment solutions. Poshmark will change the way you shop for clothing and fashion. Try them out today! There is a lot of competition in the resale marketplace, you NEED On The Spot Purchases! Make sure your listings are as descriptive as possible! Take it farther than “Good”, “Excellent”, or “Pre-Owned”. Describe WHY you would consider it good rather than excellent. What does “like- new” mean to you? Use real measurements. I never answer the question “Would you say this fit like a _____?” That question is so subjective to opinion. I do not ever want to steer someone wrong. What fits like a “medium” to me might be what you describe as a “large.” Don’t get me started on numbered sizes! I can wear anything from a 0-6. THAT is way too broad a size differential to even comment on any # sizing! Seriously. Especially now with the color selections… If your tank top is lavender, you have to pick “purple”. You don’t want to get into a situation where the buyer thought it was royal blue and ended up with navy- see what I mean? Tell your potential buyer what makes your item unique. Are the pockets real or sewn shut? Is there a side zipper? Buttons that are just for show? Is the embellishment glitter, sequins, or individually sewn on jewels? Describe any thing that is not self-explanatory, and if it is self-explanatory- explain it anyway! If I am deciding between two similarly priced listings- I will usually go with the one that gives the most info. It makes me trust the seller, and as we all know, TRUST is important. Make money from clothes that are just sitting in your closet. Its crazy to me how you can list an item for sale in less than 60 seconds. Shop for new and gently used items at prices up to 70% off retail. 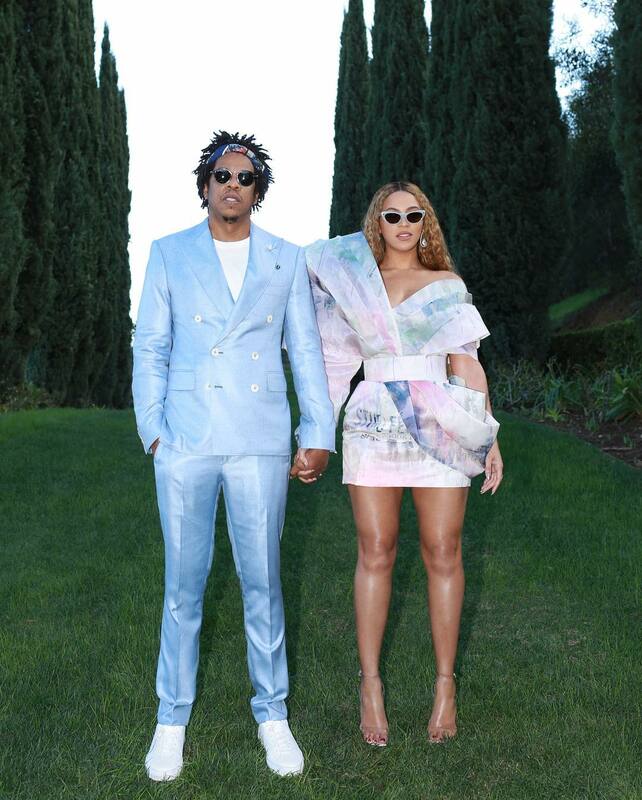 Happy Poshmarking..., its the NEW WAVE! Comment Below and let me know about your experience!